From the award-winning creators of An Egg Is Quiet, A Seed Is Sleepy, A Butterfly Is Patient, A Rock Is Lively and A Beetle Is Shy comes this gorgeous and informative look at the fascinating world of nests, from those of tiny bee hummingbirds to those of orangutans high in the rainforest canopy. 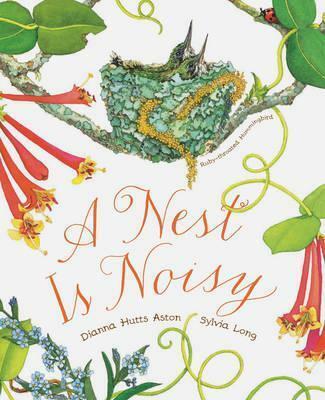 Poetic in voice and elegant in design, this carefully researched book introduces children to a captivating array of nest facts and will spark the imaginations of children whether in a classroom reading circle or on a parent's lap. Dianna Hutts Aston is the author of many books for children. She lives on an island off the coast of Texas. Sylvia Long is the illustrator of many bestselling books for children, including Sylvia Long's Mother Goose: Four Classic Board Books. She lives in Scottsdale, Arizona.